KUALA LUMPUR: Malaysian Prime Minister Najib Razak’s government tabled a bill in parliament on Monday outlawing “fake news”, with hefty fines and up to 10 years in jail, raising more concerns about media freedom in the wake of a multi-billion dollar graft scandal. The bill was tabled ahead of a national election that is expected to be called within weeks and as Najib faces widespread criticism over the scandal at state fund 1Malaysia Development Berhad (1MDB). Under the Anti-Fake News 2018 bill, anyone who published so-called fake news could face fines of up to 500,000 ringgit ($128,140), up to 10 years in jail, or both. “The proposed Act seeks to safeguard the public against the proliferation of fake news whilst ensuring the right to freedom of speech and expression under the Federal Constitution is respected,” it said. It defines fake news as “news, information, data or reports which is or are wholly or partly false” and includes features, visuals and audio recordings. The law, which covers digital publications and social media, also applies to offenders outside Malaysia, including foreigners, as long as Malaysia or a Malaysian citizen were affected. The bill states it is hoped the public would be more responsible and cautious in sharing news and information. Opposition lawmakers have questioned the need for such a law, arguing that the government already had broad powers over free speech and the media. “This is an attack on the press and an attempt to instill fear among the rakyat (people) before GE14,” opposition lawmaker Ong Kian Ming said on Twitter after the bill was tabled, using a Malaysian term for this year’s election. The 1MDB scandal, exposed by foreign media and news blogs in 2015, refuses to die down despite Najib’s consistent denials of any wrongdoing and his government’s firm grip on Malaysia’s state-owned mainstream media. Transactions related to 1MDB are under investigation in six countries including the United States, where the Department of Justice has launched civil cases to recover assets linked to the fund after investigations under an anti-kleptocracy initiative. The Malaysian government has acted harshly against media reporting on 1MDB. It suspended one newspaper, The Edge, in 2015 and blocked other websites for publishing stories critical of Najib’s role. 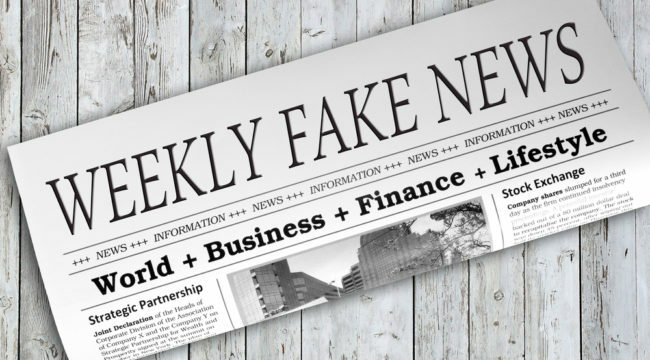 A deputy minister was quoted in Malaysian media last week as saying that any news on 1MDB that had not been verified by the government was “fake”. Governments elsewhere in Southeast Asia, including Singapore and the Philippines, have proposed laws aimed at clamping down on the spread of “fake news”, moves decried by media rights advocates.